Like container gardening, Christmas decorating can be done in small areas by filling trunks, buckets or baskets with various festive items. This is an easy way to highlight a certain area or make a focal point. 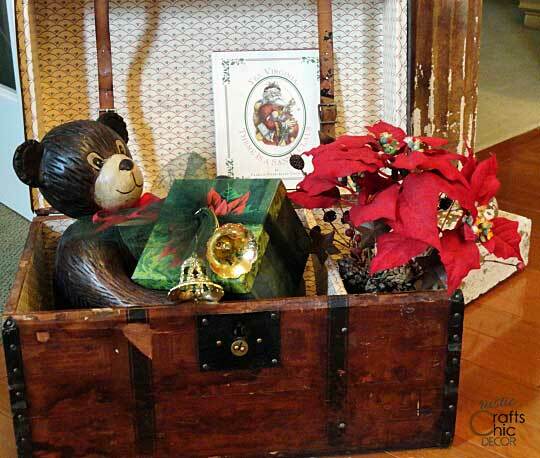 The following Christmas decor ideas are displays in containers that can be placed anywhere. A vintage salesman case was used for this display in our entree way. I just filled it with some favorite Christmas decor and it made a nice welcoming focal point. Something like this can simply be placed on the floor or on a table. Of course, a large trunk can hold bigger Christmas decor. An assortment of Christmas trees works well in a large trunk. Sometimes decorating the container itself helps to make the display seasonal. 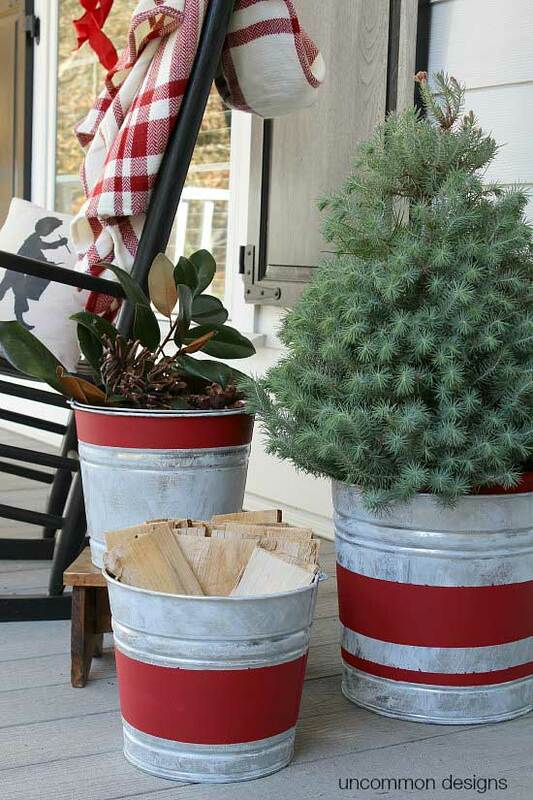 These painted galvanized buckets are perfect for Christmas plantings and decor. 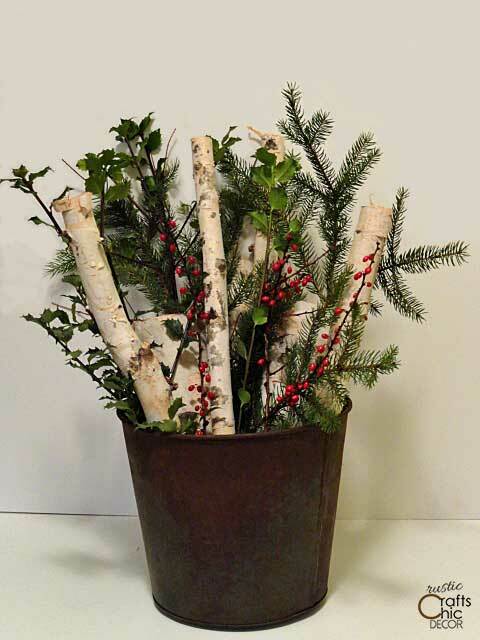 For another rustic bucket idea, try using a rusty bucket for displaying Christmas cuttings. 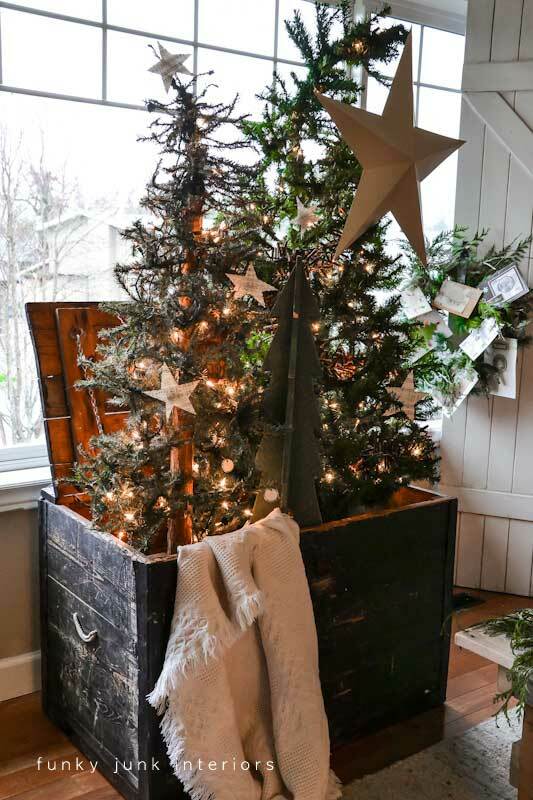 For more rustic Christmas decor ideas , see my post on rustic Christmas decorating with the old and rusty. Christmas ornaments aren’t just for the tree! Because ornaments can be displayed anywhere, think about using a decorative container. 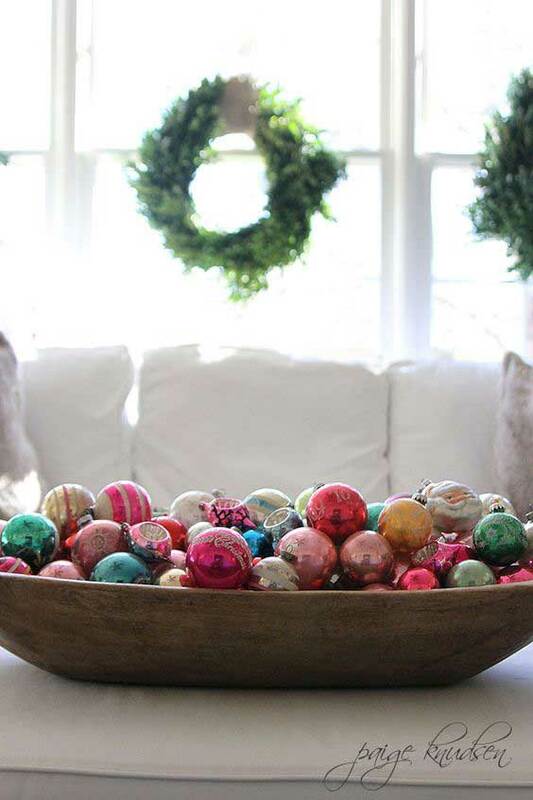 Using a rustic wooden bowl to display a collection of colorful and shiny ornaments is very rustic chic. 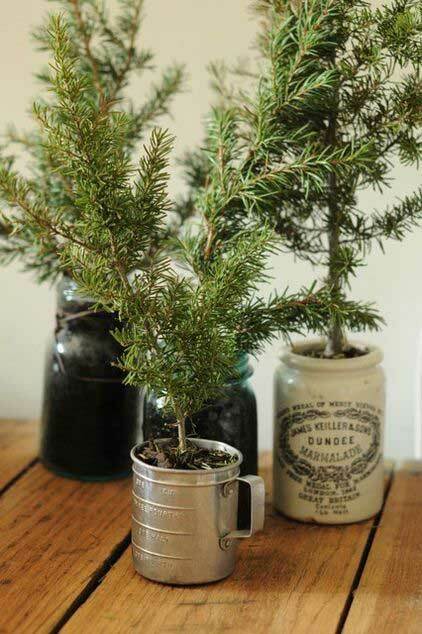 Get instant Christmas decor by potting an evergreen tree cutting. As long as the containers are a good scale to the cuttings, it doesn’t matter what you use for the pot. Because a group display has even more impact, use a variety of coordinating containers for visual interest. 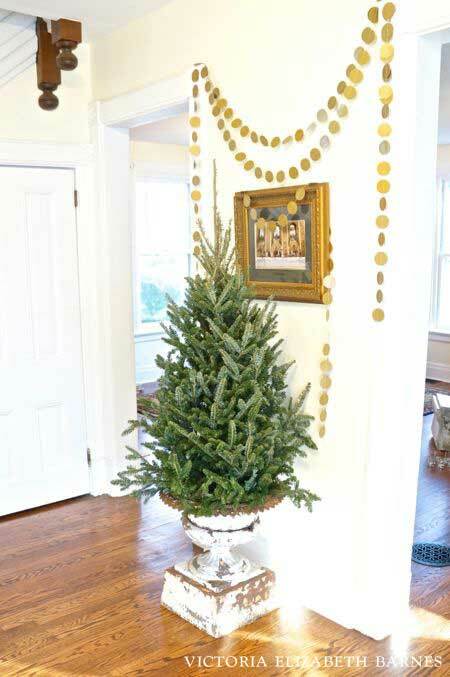 A large antique urn makes a beautiful base for a small Christmas tree. Whether you use an urn for a tree or an assortment of cuttings, it is sure to look elegantly rustic. You’ve got some gorgeous arrangements here.